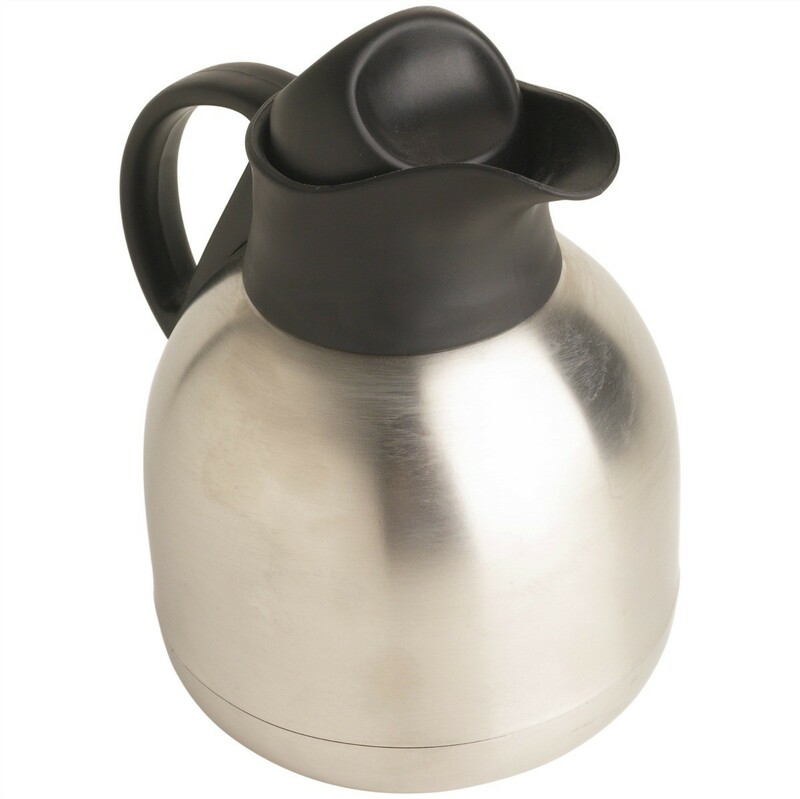 When your metal or glass coffee pot has stains it can affect the flavor of the coffee. There are a variety of ways to remove them. This is a guide about cleaning a coffee pot. My glass coffee container had stains in it. I remember reading somewhere that I should fill it with hot water and a denture tablet, let it sit overnight, rinse out,and the stains should come right out. Tried it and it works! How do I clean coffee stains off of my coffee pot? 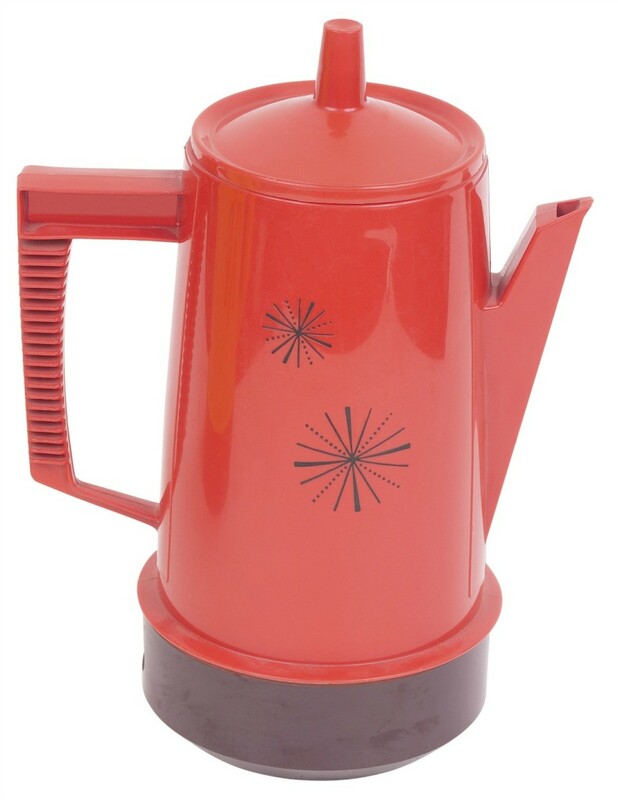 Is this a pot or a coffee maker? If it is a coffee maker try vinegar and water mix, or a peroxide and water mixture. Both will work. If it is an open metal perk type pot or coffee holder then you can use a little bleach with water, but don't use bleach in a coffee maker. Either rinse with water after or put the coffee maker through its paces with water only before using it again. Does anyone have a good cleaner for coffee pots? I used Thund'r Blast from Dollar General, but they have apparently discontinued it. CHEAPEST and non toxic. Fill coffee pot with vinegar (or half water and vinegar, but if it's been a while, full vinegar). Run through a cycle, discard vinegar (after cooled) in toilets, let sit and you've cleaned those too! Then run another cycle (or two depending on what you see come out the 1st) with just plain water. WAAAA LAAAAA! Sparkly, degreased (coffee has oil), degunked and better tasting coffee the next go round! The very best thing I have ever used is CLR. I always run 5 or 6 cycles after the CLR cycle to be sure all of the remnants have been washed away. If you are talking about a automatic drip coffeemaker, I've always just run vinegar through it. I put a filter in the basket and then pour about 6 cups of white vinegar in, turn on and let drip through and then pour that out and run 2 cylces of water through it. It's easy, does a good job and it's cheap! Actually, I was talking about the glass decanters. Incidentally, you should never put vinegar in a Bunn coffee brewer, or one that has a holding tank. You will never get the vinegar out of it. I have a Bunn and I periodically run white vinegar through it. If you do it according to manufacturer's directions, you will never have a funny taste left in your water. We have very hard water here so I find it to be very helpful to do occasionally. I also use white vinegar to clean out just my decanter and it works great. Removes the oily coffee build up and it's cheap and always on hand. I have always used vinegar to clean my coffeemaker. I pour in about 4-6 cups of vinegar. let it start to drip through and then turn off the coffeemaker. After half an hour I turn it back on and let it all drip through. I then run two cycles of water through and have no aftertaste in my next pot of coffee and my coffeemaker perks so much faster after all the scale gets cleaned out. I actually read this in a coffeemaker instruction manual years ago and have been doing it ever since. I have never had any problems with my coffeemaker afterward. I have a Bunn coffee maker and VERY hard water. I drain all the water out of the reservoir (Be sure you unplug it while the reservoir is being drained so you don't burn out the heating element! The reservoir must have water, or vinegar, in it when it is turned on!) and fill with undiluted white vinegar. I put a regular coffee filter in the basket and add more white vinegar until it fills up the glass coffee pot with hot vinegar. I recycle the hot vinegar through the reservoir several times, using a fresh coffee filter each time to catch the gunk and sediment. 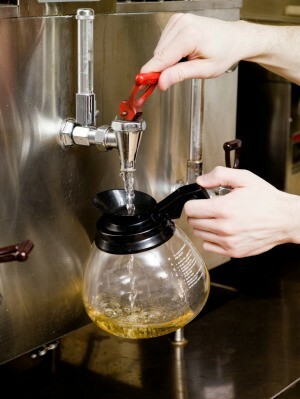 I pour as much of the vinegar back into the jug as possible and use it the next few times I clean the coffee maker. I mark the jug so no one uses it for anything else. I run numerous pots of fresh water through the coffee maker to rinse out the vinegar. It does not affect the taste of the coffee or have a vinegar taste or smell.......unless you fail to rinse it well. My Bunn is quite old so I know this does not hurt the coffee maker, using straight vinegar. Thanks, everyone for all the good responses, but I am really looking for a commercially available cleaner in a spray bottle. I own an office coffee service and am looking for a cleaner that I can use "on the road". Vinegar and ice are not going to work. I should have said that originally. Your suggestions are good for home use. I believe you should not use chemicals to clean anything that's used to cook with or drink out of unless well and truely rinsed out. But for home use my tried and tested non toxic solution is LEMONS. Cut 1or 2 lemons up squeeze juice into kettle then add the rest of lemons in to the coffee kettle and boil to get rid off build up on your element and inside from water as the natural acids in LEMONS get rid of this, after boiling rinse and repeat if needed. 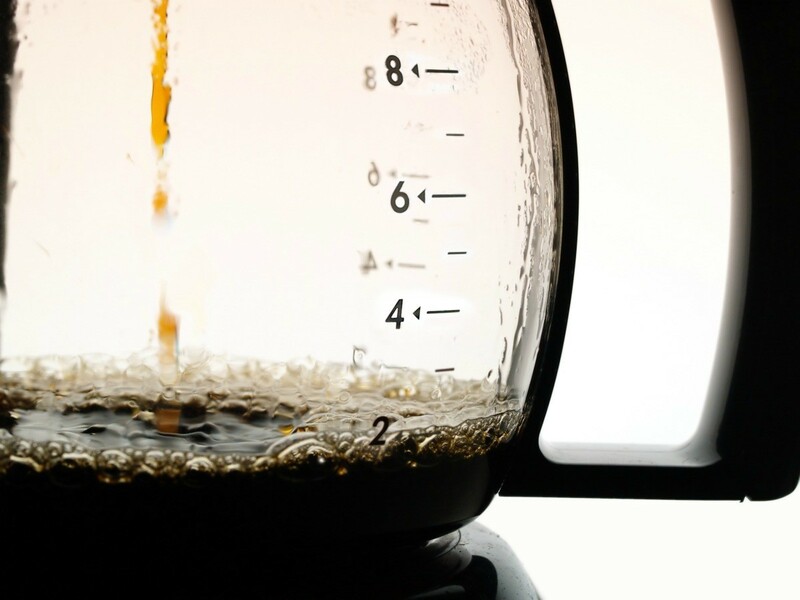 Tips for cleaning a coffee pot. Post your ideas. Pour a handful of table salt into the dirty coffee pot. Use a wet sponge/dish towel to rub it around on the stains. Rinse clean. Add a cup of vinegar to the water and run it through as normal without coffee and it'll clean the inside of the machine as well. Then dump the water, rinse and wipe dry. You can also put a handful of table salt into the dirty coffee pot, add ice and swirl it around. If when your coffee pot is freshly emptied, you rinse it out with very hot water, you won't have to clean it as often. Then use the salt/ice method which works well with narrow necked coffee pots that you can't scrub by hand and a brush isn't very effective. But salt/ice/swirling method works very well! I worked at a steakhouse for several years and we always cleaned our coffee pots with lemon slices, 1/2 cup of salt, and ice swished around and around and then run through the dishwasher for sterilization. They always sparkled! I always keep lemons on hand for that and freshening the garbage disposal! Fill your pot with water. Bring it to a boil. Remove the pot to the sink. Dump about a tablespoon of Cream of Tartar in the water. Let it foam up. When the foaming subsides, return the pot to the stove & let it boil gently over medium heat for about 10 minutes. Put some dishwasher detergent powder in pot, add hot water. Let it stand a few minutes and wash the inside with a dish cloth and it will sparkle. Use salt put in the pot and swish around. It may take a time or two but it does work. My coffee pot is thick with coffee residue. What can I use around my house to clean my coffee maker? I bought a Mr. Coffee from a Goodwill store ($3.50), but apparently they used some kind of coffee pot cleaner on it and it tastes bad. I hate that taste! Is there any way of getting rid of it? Just keep brewing water thru it? Your coffee pot burner needs to cleaned from time to time. This is a guide about cleaning a coffee pot burner. This guide is about cleaning a percolator. Coffee stains can be stubborn to remove from a pot. Having a clean decanter helps keep your coffee tasting delicious. This guide is about cleaning a coffee carafe. I learned a neat trick for cleaning coffee pots or tea pots. Fill with crushed ice (you can put ice cubes in a bread bag and hammer them until crushed), quite a bit of salt, and a lemon slice. Swish it around several times and rinse out. If the pot is stained, you'll need to let it sit longer and then use a large brush to clean. I have a large aluminum party sized coffee pot. It has ugly water mark stains on the outside. It also has coffee stains on the inside. Does anyone have a solution for this? The best thing I've found for cleaning aluminum coffee pots is cream of tartar. Put a tablespoon for a regular sized coffee maker, probably 3 or 4 for the large pot. Run it through a cycle and all inside stains will be gone. For the outside stains, S.O.S pads and a little elbow grease will take a lot of stains out and shine it back up. Be aware that that black gunk is actually a coating on the aluminum surface, and it contributes to the mellow flavor of coffee. You may NOT want to clean it all off. If you DO, you'll find you're going to have to run 10 or 20 fresh pots of coffee through the coffee maker before your coffee tastes right again. If you want to just do a light to moderate cleaning, you can use a mild solution of baking soda and let it sit overnight. That will take off a large portion of the stain, but not clean down to the bare aluminum, which would spoil the flavor of the coffee. If you MUST clean out all of the stains, a weak solution of Clorox bleach allowed to soak overnight will get it all. Be careful about experimenting with mixing cleaning agents, particularly when working with bleach. Some combinations can produce poison chlorine gas - NOT what you want to deal with!